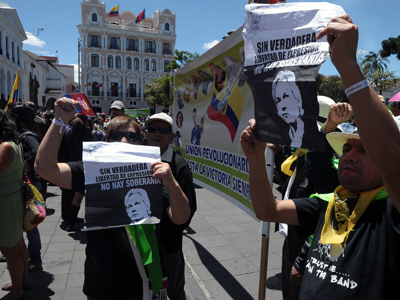 Ecuador does not fear US revenge for granting asylum to Julian Assange. Despite America’s power in the world, it is not Ecuador’s “father or teacher to punish us,” the country’s foreign minister said exclusively to RT Spanish host Eva Golinger. “We don’t think that any punishment is possible, nor do we think that there is a reason for revenge (let’s call it this way, it is stronger than “punishment”) for Ecuador’s sovereign decision. The USA does it every day,” Ricardo Patino said. Ecuador believes that the situation around Assange, who is wanted in Sweden for questioning on sexual assault allegations, will not provoke a breach in relations between his country and the US because there are no grounds for the relationship to worsen. “The only difference is that it may appear now that a small, less-developed country has fewer rights to protect freedom and lives of other people than world powers,” Patino told Eva Golinger, RT Spanish TV host, lawyer and writer. “We have the same rights as they do. We will not accept any revenge in any case,” he stressed. Ecuador has granted Assange asylum after neither Britain nor Sweden would grant assurances that he would not be re-extradited to the United States. Assange’s supporters fear that he would meet the same fate as Bradley Manning, the man arrested in May 2010 for allegedly providing classified materials to WikiLeaks. He is likely to get life in prison if convicted. Julian Assange and his legal team believe that he has already been secretly indicted by a grand jury in the US, for publishing thousands of secret documents including American diplomatic cables. However, the US State Department denies they are seeking to prosecute Assange. “We reject it completely,” spokesperson Victoria Nuland declared commenting on Ecuador’s decision to grant asylum to Assange. Ecuador remains concerned about the UK’s threats to raid its embassy in London where the WikiLeaks founder, Julian Assange, has found refuge. Ecuador’s official announcement that it is granting political asylum became the epicenter of a diplomatic row between Ecuador and Great Britain, with the latter threatening to storm the embassy in London or arrest Assange once he leaves it. Ecuador responded with anger saying that the times of colonies are gone and that they are an independent country. 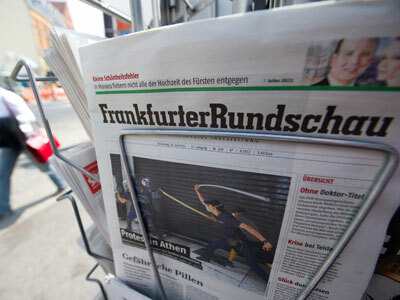 Quito also stressed that breaking into the ambassadorial premises of a foreign state would be a “flagrant violation” of the Vienna Convention on Diplomatic Relations. “We have not got any statement from the UK which denies this [threat],” Patino said. On the contrary, the UK keeps announcing that it will extradite Assange to Sweden regardless Ecuador’s decisions, he reminded. UK Foreign Secretary William Hague made a statement after the asylum was granted, saying that Britain will continue its efforts to extradite "alleged criminal" Assange to Sweden because it does not recognize his asylum status. 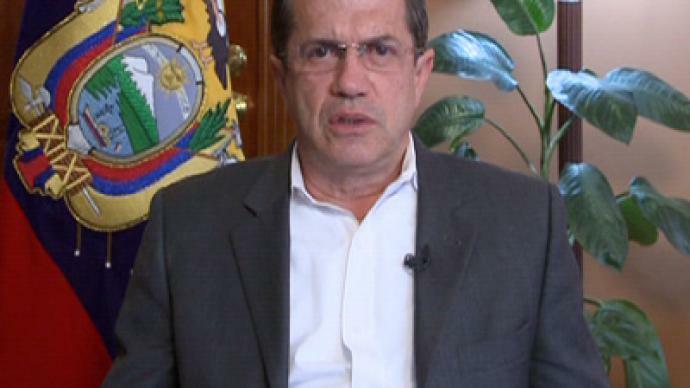 Patino stressed that the UK should apologize to Ecuador – in a written form – for their threats, or at least admit that they have made a mistake. Only after that will the dialogue become possible, he said. If Britain stormed Ecuador’s embassy it would lead to very grave consequences, not only on the part of Ecuador, but also on the part of the whole Latin America, Patino said. 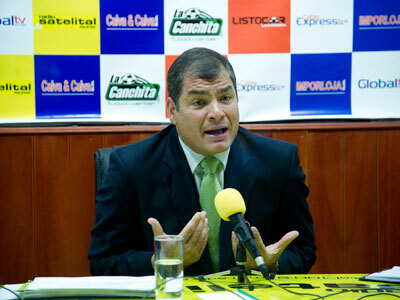 “We also believe that London will accept Ecuador’s sovereign decision. If that doesn’t happen, we’ll find a way out,” Patino said. On August 17 Ecuador said it may appeal to the International Court of Justice (ICJ) if the UK refuses to grant Julian Assange safe passage out of the country. One of the main reasons behind Ecuador’s decision to grant political asylum to Assange is protection of freedom of speech, Patino stressed – as well as the right to life, right to personal integrity, and right to freedom from political persecution. And Julian Assange is an icon of the freedom of speech, the minister added.